Composed by Traditional. Arranged by Aedan MacDonnell. Celtic. Individual Part. 1 pages. Published by Harp use Inspirations (S0.185467). Skye Boat Song (also called "Over the Sea to Skye") is a traditional song from Scotland. 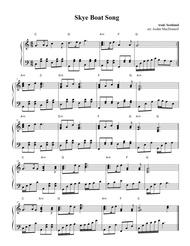 It's currently being used as the theme song for the popular TV series "Outlander," although they have changed the lyrics that were originally written in the 1870's. 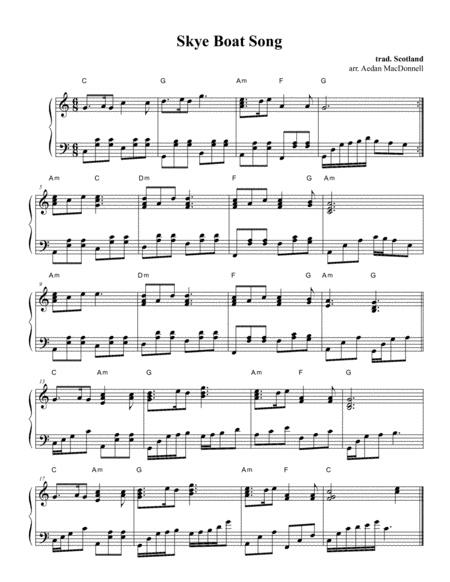 This version was arranged for intermediate harp, but can also be played on piano.